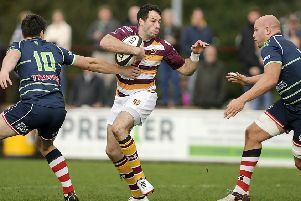 Fylde’s 38-7 win at Peterborough Lions last weekend, when only one other match in the division beat the cold snap, lifted Spragg’s side level with leaders Hull Ionians, whom they visit next weekend. 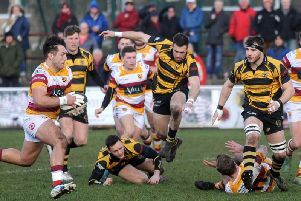 Hinckley in sixth will believe they are part of the title race if they can complete a double over Fylde tomorrow, especially as the top four must all play each other over the next two months. Top tryscorer Tom Carleton is raring to go after being forced off with an ankle injury at Peterborough. “With all respect to Peterborough, they are struggling and didn’t offer much attacking threat (Fylde came within 10 minutes of keeping them pointless). And the Fylde boss will keep an eye on Chester v Hull with more than a passing interest. “A 0-0 draw there would do me,” he said. “I honestly can’t pick a winner. The better team will win and that’s the story of this season.